That’s the top recommendation I can give any budding photographer. Do not buy any new toys until you have reached the full potential of your camera body and the lens or lenses that came with it. It probably came with some free basic editing software, too. Do not buy any editing programs until what comes straight out of your camera is pretty good. Learn the exposure triangle, i.e. how to balance aperture, shutter speed, and ISO, and then go to step 2 and 3, which are equally important in my mind. Katie’s book is a great resource. Read it! 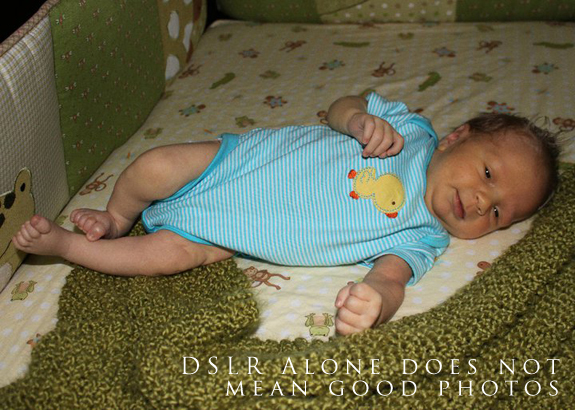 There are plenty of cropping guides online, but don’t chop off your kids’ arms and legs when taking their photographs. You can always do a closer crop later, but once you’ve chopped off little Jimmy’s foot in the camera, it won’t grow back in Photoshop. There are two times of day that will give you the best outdoor light: the hour after sunrise and the hour before sunset. Photographers generally refer to this time as “golden hour.” Pictures taken in the mid-day sun will usually have harsh shadowing or dappling (little bits of light) even under the shadiest tree. If you do shoot in the middle of the day, wait for a passing cloud or try to find some “open shade.” Open shade is a large shady area, for example under a tree, with limited light peeking through. Those light peeks, if they hit your child’s face, are distracting. I also recommend shooting in cloudy mode for white balance if you haven’t set a custom white balance. It’ll get you close enough. Another suggestion? Shoot on a cloudy day, you get beautiful flat light! 4. Can I get a little help, here? I have a three year old. He wants to do everything himself and the last thing he wants to do is listen to my instructions for posing. 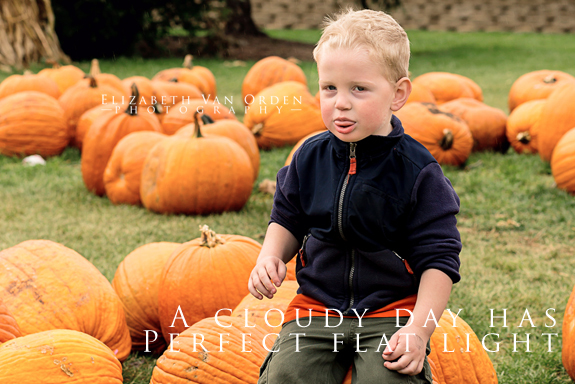 He’ll sit next to me while I’m editing and say, “I don’t look very happy in that photo, do I?” My husband comes along, especially when I’m shooting with long lenses, to help keep my son content. 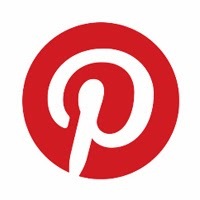 The best place for your helper to stand and make faces at the baby/child? Directly behind you. If they’re off to the side, that’s where the kid is going to look. Photographing kids is a little like gymnastics, one minute I’m on my belly on the ground, the next I’m running up a hill after them. Get down to their level – squat, on your stomach, sitting, whatever it takes so you’re at about their head level. 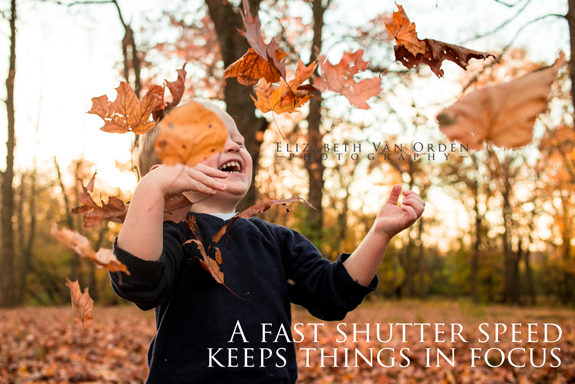 As a rule of thumb, you want your shutter speed to be approximately twice the length of your lens. If you’re shooting a 50mm lens, you want it at least 1/100. Completely forget that rule when it comes to kids on the move. You need a shutter speed of at least 1/250. Heck, when I take leaf-toss photos with a 35mm lens, I bump that puppy up to 1/500 to 1/600. At the end of the day, I’m a mom and not a photojournalist assigned to document my child’s life. Do I miss out on some awesome photo opportunities? Every single day. My camera almost always stays at home for trips to the zoo, the park, birthday parties, etc. 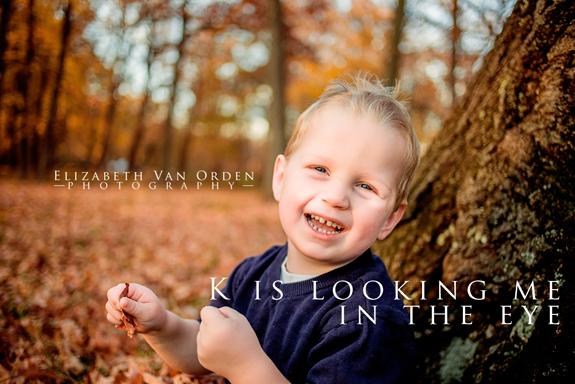 I love to photograph my son, but I love being a mom to my son even more. My cell phone is almost always nearby if I need a snapshot. 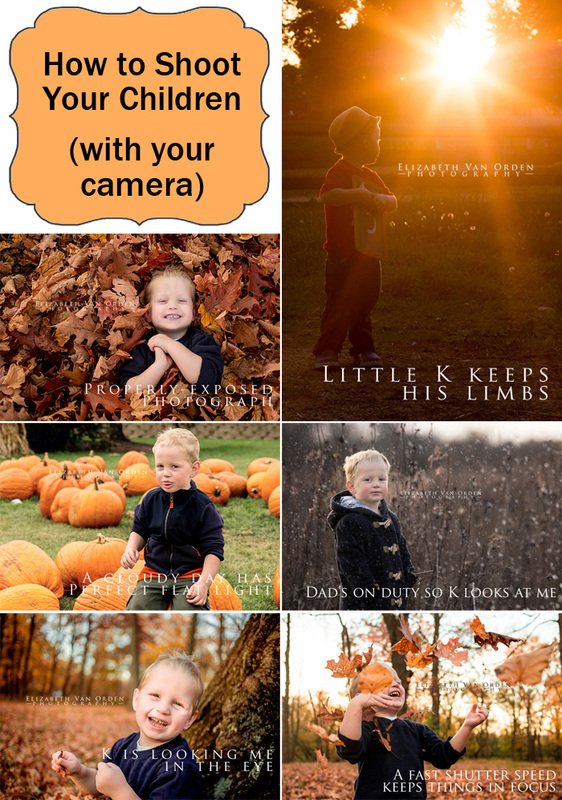 What I have said above are just some recommendations for taking better pictures of your children. Love is more important than any photo so don’t worry if your photography isn’t perfect. 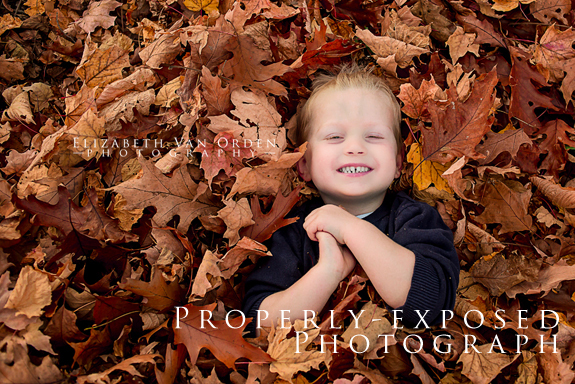 Life, love, and kids are messy; sometimes photos are, too. Just enjoy the ride and click away. 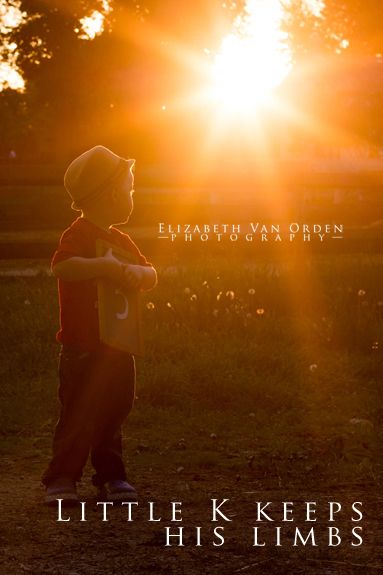 Elizabeth Van Orden is the owner and principle photographer at Elizabeth Van Orden Photography, LLC in the Chicago suburbs. To say she is self-taught would be an insult to the wonderful support network of mentors and friends who have helped her along her journey including her former roommate, Katie McEnaney. 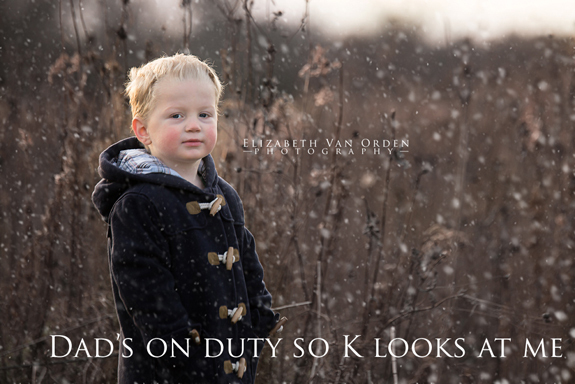 She is also a mom to three-year-old “K” who makes her keep her shutter speed at 1/500 most of the time.